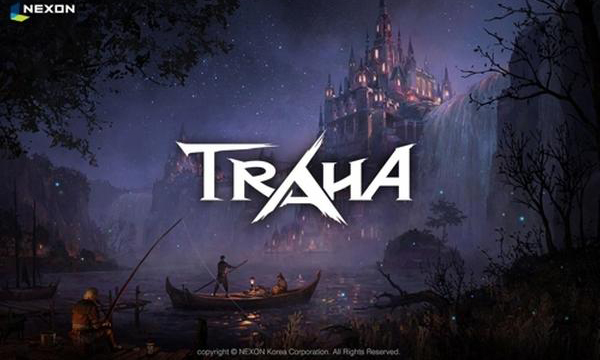 Pre-orders for Traha – the massively multiplayer online role-playing game (MMORPG) developed by Moai Games and serviced by South Korea’s largest gaming publisher Nexon Co. – have surpassed 1 million in just two days after launching registration. According to Nexon on Monday, it received 500,000 registrations for the new high-end MMORPG Traha on the first day and cumulative 1 million on the second day, becoming the first game title launched under new Internet Protocols to ever break the 1 million milestone in two days. Nexon opened pre-registration last Thursday after holding a media showcase. It said it will officially launch the new game on April 18. The game became a search hit on the country’s largest portal Naver in just hours after the showcase. The game commercial starring Hollywood actor Chris Hemsworth, who played Thor in The Avengers, was presented at the media showcase for the first time and has drawn about 1 million views since then. Traha – developed with Unreal Engine 4 – aims to provide a high-end mobile MMORPG optimized for high-quality graphic and scale as that of personal computer online games. It also aims to provide best-ever play experience to game users incomparable with other games that tend to give in to the limits of mobile environment. Traha has secured the essence of MMORPG by allowing users to play the game according to personal considerations and choice. It also provides a new story where users create their own battle paths rather than follow a pre-set, one-path route in a quest. The game also aims to provide weekly updates for the preservation of the value of goods and services. Traha will be officially launched on April 18 on mobile devices supporting Android and iOS operating systems. Nexon plans to hold a pre-event on March 21 for servers and characters.